Mr. Arnold and his team of lawyers at C.E.G.A. Criminal Law provides top-quality legal services for private individuals in need of representation in Nevada. Before starting his own firm, Carl Arnold spent an illustrious 10 years with the international law firm Cozen O’ Connor. His career with the firm began shortly after graduating in 1994 when he was accepted as an associate. Mr. Arnold began his career with a bang, successfully second-chairing a $20 million insurance subrogation case to a jury verdict a mere three months after passing the bar exam in California. With his impressive streak and talent, Carl Arnold became a partner at the prestigious firm after just five years. Mr. Arnold continued to represent many top-rated insurance companies in civil proceedings until his departure from the firm. After a successful private career with O’Connor, Carl Arnold turned his talents to be in service of the public. He accepted a federal prosecutor position at the United States Attorney’s Office in San Diego, where he would prosecute crimes involving human smuggling, drug trafficking, and illegal entry into the United States. Mr. Arnold served as a prosecutor for only two years but was able to indict more than 150 cases in front of the federal grand jury, and was undefeated for almost a dozen federal criminal trials. Carl Arnold’s time as a federal prosecutor gave him invaluable first-hand experience about the public sector, including filing appeals and appearing before the United States Court of Appeals for the Ninth Circuit. 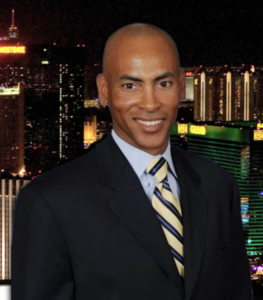 Carl Arnold moved to Las Vegas, Nevada where he worked as an attorney for Glen Lerner, who was serving more than 200 clients. His time with Glen Lerner exposed him to the plaintiff’s side of civil litigation and personal injury law. With years of experience and knowledge on his back, Mr. Arnold decided to establish his own law firm in Nevada— C.E.G.A. Criminal Law Inc. This firm was established with the belief that everyone deserves top-quality representation regardless of their financial background. C.E.G.A. Criminal Law Inc. now handles hundreds of cases each year with the expertise and leadership of Mr. Arnold. They have participated in over 70 jury trials including highly publicized cases such as the Mormon Missionary Robbery and the murder of seven-year-old Rodney Arrington by Markiece Palmer. Mr. Arnold is an attorney of the people and will fight for your rights. Let him know how he can help. Call 702-358-1138 today for a free consultation.